Look no further for 2015 Bank Promotions! Below are the best bank deals, bonuses, and offers from major banks such as Chase, Citi, Bank of America, Capital One, and many more. 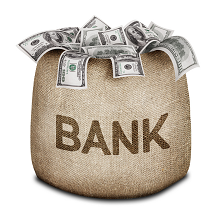 Many Bank financial institutions are fighting for your business. They offer many features such as no fees and cash bonus giveaways for many Checking & Savings accounts! The year 2014 Bank Deals will be known for some of the highest cash offers to take advantage whenever signing up for a new bank account. They include the best checking and savings accounts that can be open online from any States. Make sure to read all the terms and conditions to avoid bank fees and learn how to earn the bonus. Capital one 360 Checking offers $50 bonus cash after you make three debit card purchases or three Person2Person payments (or any combination of the two) within 45 days of opening your account. You’ll receive a $50 bonus, deposited into your account on day 50. Direct deposit is not required! With your Capital One 360 checking account, you can now refer your friends and family to earn $20 per approved account ($1,000 maximum bonuses allowed). Earn a $20 bonus per approved account; your friend/family member will get $50 bonus. Capital One gives $20 bonus per referral for 360 Savings, Kids Savings, and MONEY Debit Account for Teens. 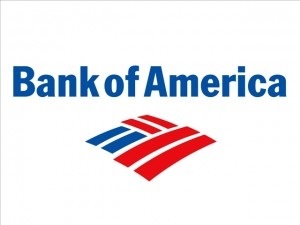 Complete the online application using the Bank of America offer code BAW100N. Set up and receive qualifying direct deposits totaling $2,000 every 30 days from your account opening date for 90 days. This offer is good for residents of the following states: DC, DE, FL, GA, IL, IN, KY, MD, MI, MO, NJ, OH, PA, VA, and WA. 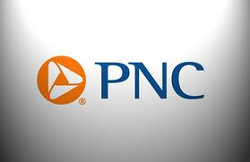 Open a Virtual Wallet account at PNC bank and get a $150 cash bonus. Have at least $2,000 transferred into your account via direct deposit within the first 60 days and make at least one payment via online bill pay. Your bonus will be deposited into your account within the following 60 days. This offer is valid until January 31, 2014. Open a BankDirect Mileage Checking Account and earn American Airlines AAdvantage miles. You’ll receive 1,000 miles just for opening an account, 5,000 miles for initiating direct deposit, 2,000 miles for using BankDirect’s bill pay service for one year, and 1,000 miles for referring a friend. There are other ways to earn miles as well, and some restrictions apply. Be sure to investigate the offer thoroughly for full program details.